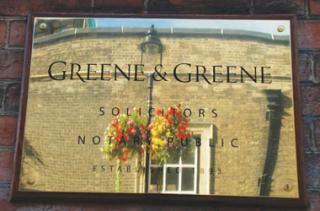 Bury St Edmunds law firm, Greene & Greene, is presenting a series of free seminars during September and October 2015 at the DB Conference Suite, Kempson Way, Bury St Edmunds. Dual-qualified Solicitor and Chartered Tax Adviser, Wayne Perrin, will be hosting workshops on Tuesday, 22 September (“Finance Bill 2015 - Inheritance Tax and the Family Home”) and Tuesday, 20 October (“Estate and Wealth Planning - What Works Now and What Might the Future Hold?”). Both workshops run from 8-10am. The popular Annual Employment Law Update, now in its 18th year, will be hosted on Thursday, 8 October from 10:30am-1pm by Partner and Head of Employment Law at Greene & Greene, Selene Holden. Further details can be found here. Please contact Jane Hopkins on janehopkins@greene-greene.com or 01284 762211 to reserve your place.